Increasing demand for counseling services is one of the most-discussed mental health issues facing college students, according to a study published Tuesday in the Journal of Medical Internet Research Mental Health. The study was a collaboration among Fay Cobb Payton, a North Carolina State University information systems and technology professor, Lynette Yarger, a Pennsylvania State University information sciences and technology associate professor and Anthony Pinter, a University of Colorado Boulder information science doctoral student. Inspiration for the study, Yarger wrote in an email, which aimed to find the most salient themes in current mental health literature, came from racial tensions and protests on college campuses and an increasing number of college students seeking mental health services. The researchers used a process called “text mining,” Yarger wrote, utilizing statistical software to find shared themes in a variety of academic and journalistic articles on mental health issues facing college students. Although universities are increasing mental health services in light of demand, Yarger wrote that these services are still insufficient at many institutions. The clearest recommendation to colleges is to increase funding, Pinter wrote, thereby increasing mental health services availability. 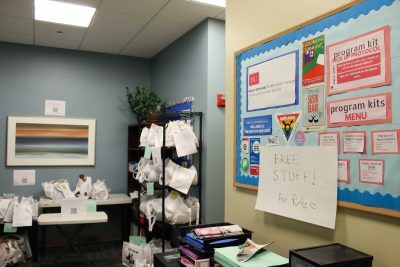 Student Health Services’ Behavioral Medicine department provides diagnosis services, short-term therapy and outreach and prevention programming, according to its website. Grace Li, a senior in the College of Communication, said she thinks BU does a good job of advertising its health services, but does not know how useful those services are. Joseph Garcia, a freshman in the College of Arts and Sciences, said he doesn’t think SHS has enough behavioral medicine staff members to provide services for the whole student population. BU is developing many mental health resources, Sargent College of Health and Rehabilitation Sciences Director of Services Dori Hutchinson said, including an ongoing research and peer-mentoring project where upperclassmen can help underclassmen matriculate smoothly into their new environment. The university also conducts a wellness and mental health survey of its student body every two years, Hutchinson said. Mobile apps may be a useful addition to mental health services, the study found. Current college students are “digital natives, clear from the constant use of mobile devices,” Payton said. African-American and Hispanic students especially are using more mobile devices to access health information online, she said. Apps can be designed to support overall wellness, Yarger wrote, such as helping students determine whether they should seek professional help, offering peer social support, assisting reluctant students in reaching out for help and enabling students to supplement their mental health regimens. Nonetheless, mobile apps are only meant to be supplementary mental health services, Yarger wrote, and should not replace in-person services. CAS senior Miranda Rivera said she thinks mobile apps could be useful in getting people help if they’re afraid to admit they need it. Students themselves should play an important part in the development of more mobile apps for mental health, Payton said. “College students need to be involved with the process because they understand their peers more than I do,” Payton said. Although apps are being created on a daily basis, Payton said there’s still much to learn about what makes an app successful.